My greatest cycling skill? Climbing? Descending? Time Trialing? Sadly no. But I am a great route planner! And today's route was sweet. 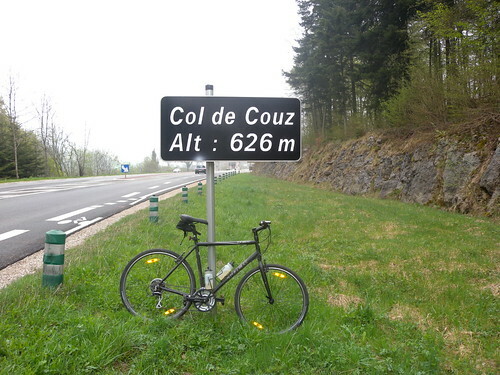 My greatest cycling skill? Climbing? Descending? Time Trialing? Sadly no. But I am a great route planner! And today’s route was sweet. 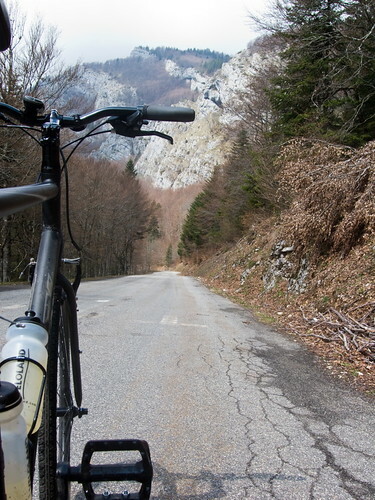 Starting from Chambery, this 60 km loop first climbed Col du Granier then descended into the Entremont Valley – enveloped by mountains – before climbing out via a tiny road via Col de la Cluse before looping back to Chambery. Unfortunately, it was a little hazy and foggy – limiting photo opportunities. 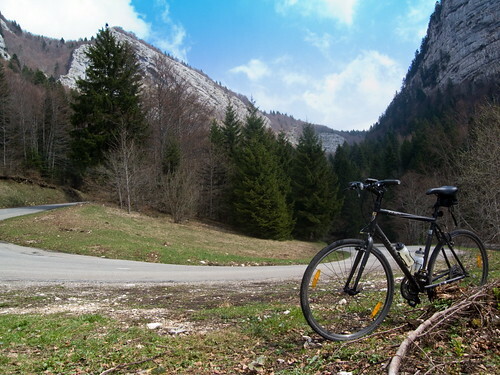 This is a ride to do on a clear day as there are views everywhere. 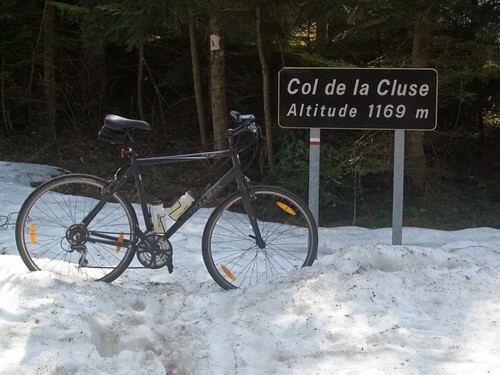 At Col de la Cluse – the high point of the planned ride – I saw a sign on a gravel road to Col du Cucheron. 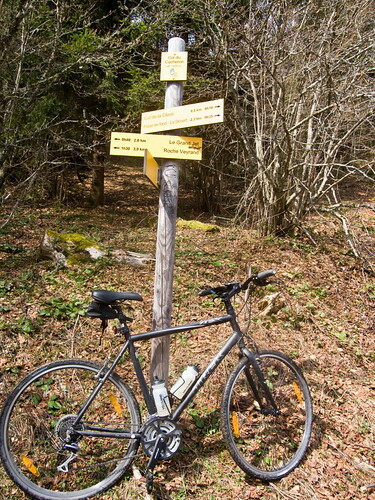 A nice surprise/detour – and luckily I had my hybrid. 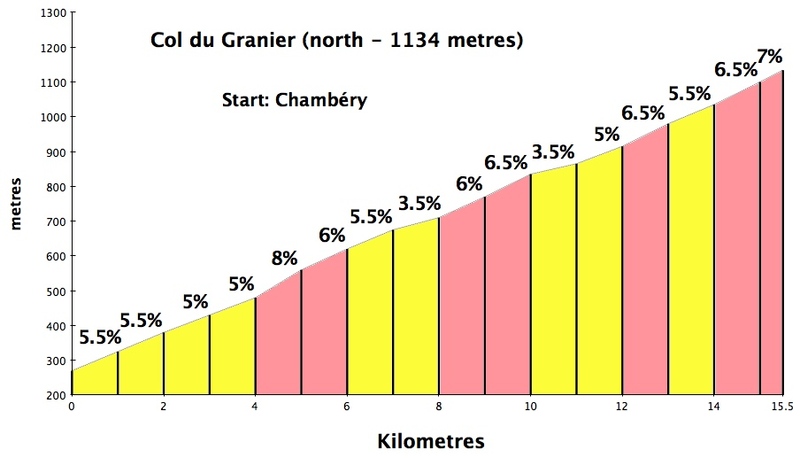 Additionally, I climbed Col des Egaux – the third bump in the profile (see map) – this would be a much bigger climb in the other direction. 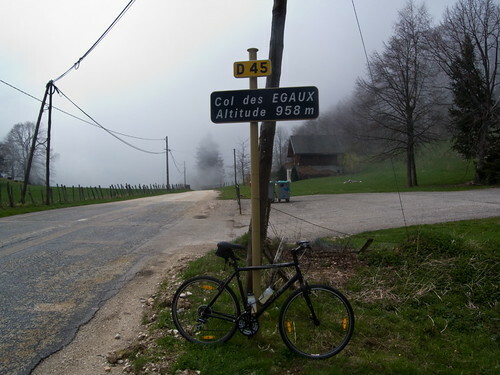 Note to my cycling partners: I’d be happy to do this again in 2009 – in the other direction. Great ride. Bravo ! Dommage pour le temps, mais la Chartreuse est un super massif pour le vélo (avec quelques gros cols, pentus sur des petites routes qui rendent assez mal parfois, et assez longs). 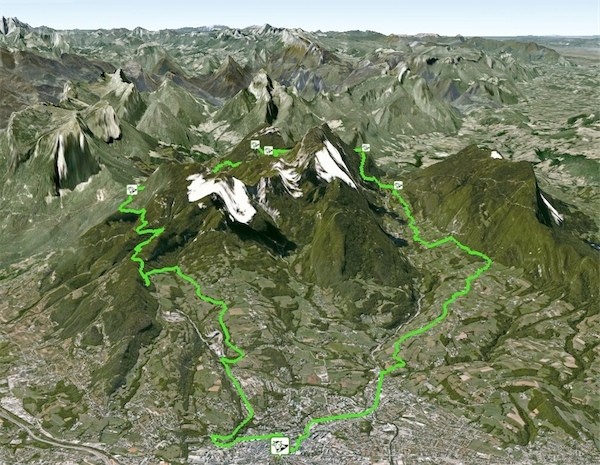 Une autre possibilité de parcours, pour un “perfect day” assurément, si vous êtes prêt à prolonger un peu après Chambéry: Vous démarrez à la Terrasse pour le Col du Coq, puis St Pierre de Chartreuse, Col du Cucheron, Descente aux Gorges du Guiers Vif, Col de Couz, Col des Egaux, Col de la Cluse, Col du Granier, puis descente sur Chapareillan mais prendre la route en altitude qui file au Col de Marcieu pour rejoindre l’arrivée. 2 more rides on my to do list : Will, I read your note and you can count on me and Bastien’s idea sounds cool too. Awesome ride Will. 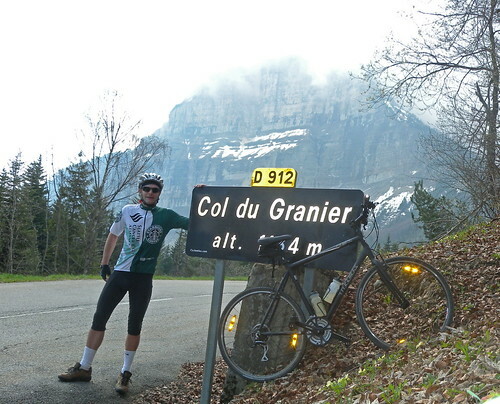 I love reading your posts and dreaming of riding the Alps one day myself. Keep at it – you are inspiration to myself and many other TdeF wannabes!